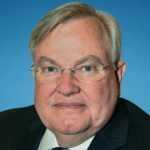 Richard White, a 31-year veteran from Harris Corp. (NYSE: HRS) and former CEO of government services contractor Capstone Corp., has joined spacecraft system and satellite manufacturer Space Systems Loral to lead SSL’s U.S. government business as a senior vice president. Palo Alto, Calif.-based SSL said Thursday White will be based out of its government systems office in Chantilly, Virginia as the MacDonald, Dettwiler and Associates subsidiary pursues federal market growth. Canada-based MDA acquired SSL in 2012 for $875 million and the parent company earlier in October announced a series of board and executive appointments in support of its U.S. Access Plan to gain eligibility for classified space contracts with the federal government. White will work with MDA in its efforts to proceed on the U.S. Access Plan, an SSL spokesperson confirmed to GovCon Wire. White heads to SSL after three years as CEO of Alexandria, Virginia-based Capstone, a provider of information technology and technical services to federal agencies. His career at Harris prior to Capstone includes roles such as president and chief operating officer of healthcare solutions, VP and general manager for cyber integration solutions, VP of advanced information solutions and VP of national intelligence systems for the radio maker’s IT services business. “(Richard) is an experienced senior executive with deep knowledge and access across numerous agencies and departments of the U.S. government including defense, intelligence, and civilian, ” said MDA CEO Howard Lance, who led Harris as chief executive between 2003 and 2011.